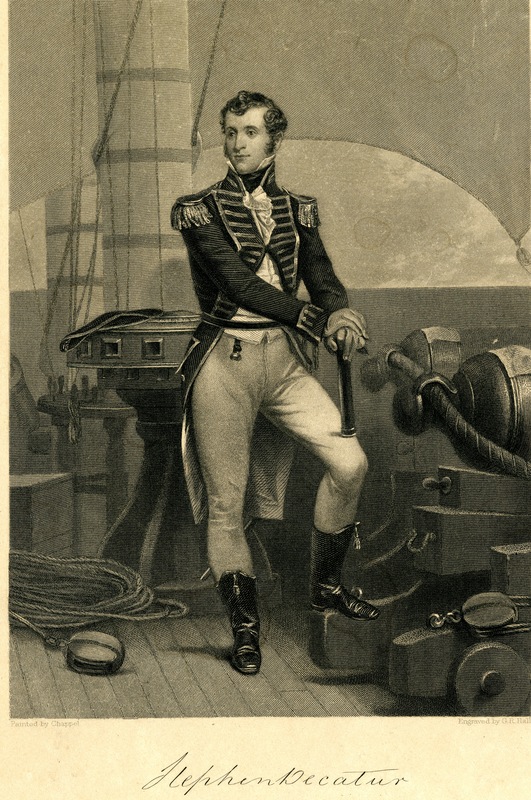 Engraving of Stephen Decatur by G.R. Hall. The original painting it was copied from was done by Chappel. The engraving was published by Johnson, Fry & Co of New York. painting: Chappel Engraving: G.R. 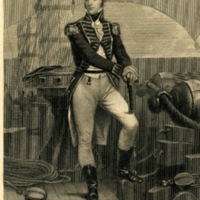 Hall , “Stephen Decatur By Chappel,” Decatur Illinois Public Library Local History Photo Collection, accessed April 26, 2019, http://omeka.decaturlibrary.org/items/show/1979.